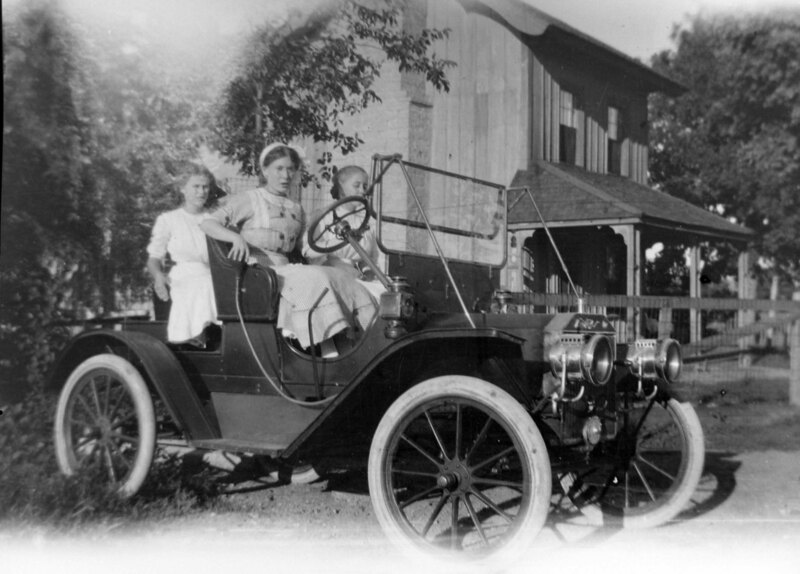 This appears (to my untrained eye) to be an early Model T.
She is at the wheel and was born 1893. It's a 1908 Ford Model S Roadster. Great photo, thank you for posting. If you'd like to post her father's name and where they lived, I'll try to find any period newspaper articles that may exist. Judging from her apparent age, that photo must have been taken in about 1908 when she was about 15/16, which means the Ford was new or at least nearly new. Very neat photo made even better by the fact it's your great-grandmother. Are the other 2 girls her sisters? It is interesting that there is a windshield that looks like a 1909 or later. Were there windshields available from Ford for the Model S cars? Judging from her expression, I think she just realized she left the car key in the house. Great picture, what a treasure for the family! Thank you Rob. What I was asking were they available from Ford as an accessory? I think I heard that the windshield wiper was invented by a woman. 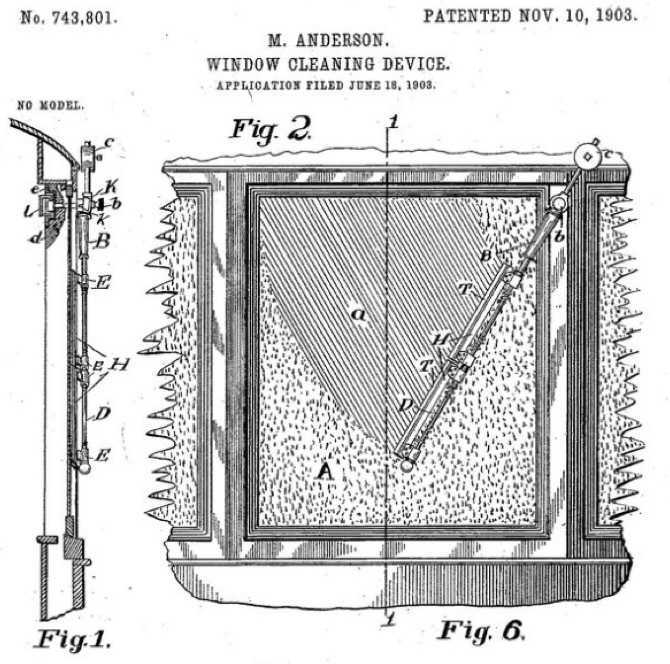 Any idea who M. Anderson was? The filler board I guess is what has me wondering, as it looks like the hardware is the same as a post-09 model T. The availability of that might help date the photo. This is great! thanks all! The car would have been in Tuscumbia MO - owned by JR Wells. I'm pretty sure those are my great grandmother's sisters. The pic appears to be in the front yard of their farmhouse. Great photo! That car doesn't look to be more than a year or two old at the most. None of the documentation I remember reading so far has ever mentions the possibility of Ford Motor Company USA offering a glass windshield from the factory on the Model N, R, S, or SR cars. The top was an accessory and it did include a roll down curtain type of windshield and was available from Ford as an accessory. I reviewed the 1907 Ford accessory catalog and glass windshields were not mentioned. But neither were tops and we know those were available as an accessory delivered with the car from the factory when ordered that way. 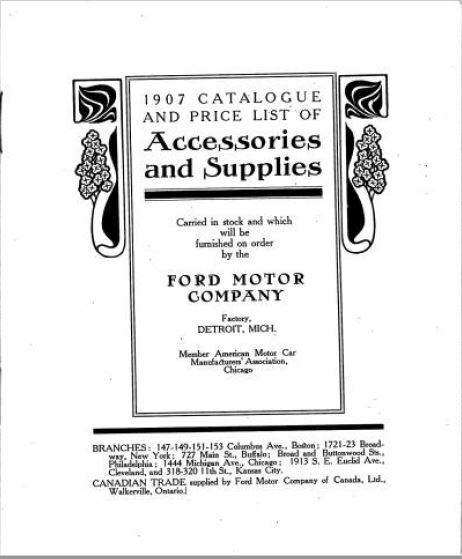 I have not seen a 1908 Ford Accessory catalog -- if anyone knows of the whereabouts of one, the Early Ford Registry would like to obtain scans to add to their documentation. However it was common for owners to equip their cars as they desired. And of course when the Model T Fords came out windshields were available as an option from the Ford factory as well as dealers. Based on that - I believe the car could have been fitted with an aftermarket accessory shortly after purchase or with a dealer installed accessory once Ford USA began to supply them as accessories. Note there is even a very remote possibility that a few S-Roadster stragglers could have come from the factory with a windshield if they were ordered that way. Why? because Trent's Data base shows that S-Roadster 3707 was shipped Nov 21, 1908 and S-Roadster 3708 was shipped Feb 1, 1909. 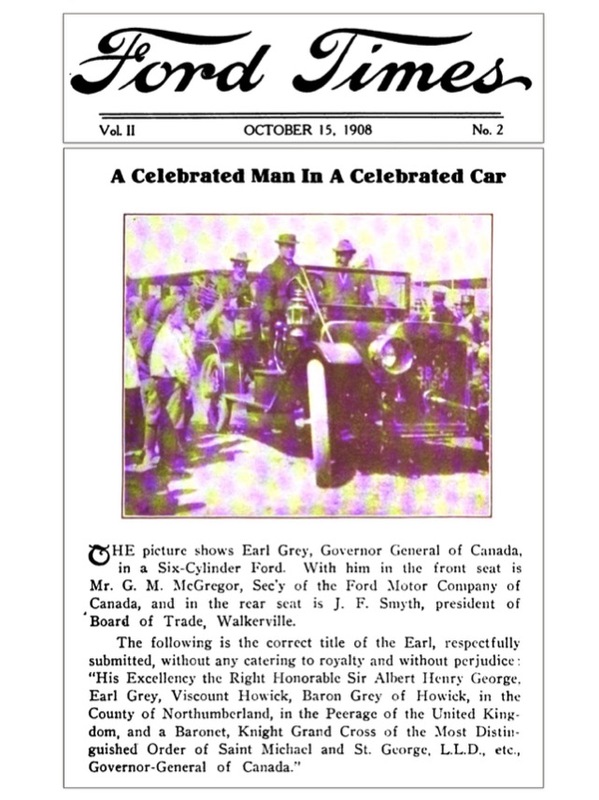 (ref page 95 Trent's Early Ford Database). And on page 482 of Bruce McCalley's "Model T Ford" Bruce has listed S-Roadster 3710, 3711, and 3719 as manufactured (not shipped but manufactured) on Jul 20 1909. 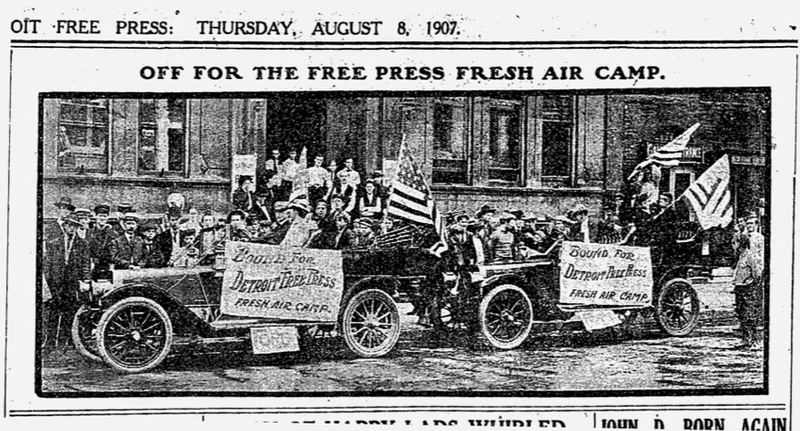 All five of those cars were shipped after the Model T was introduced and in theory -- after windshields were available from Ford. But those were exceptions, i.e. last years models etc. still new but not the Model T.
For dating a Model T the windshields can sometimes be very helpful. But for the N, R, S, and SR cars in general they are not as much help. Herb, I believe that "M" is Mary. The brace rod for the windshield is interesting. Does the lower half of the windshield tilt back when the top half is raised up? Neil, I kind of wonder if that brace rod for the upper part of the windshield doesn't have a spring inside so it holds the top half secure either up or down. While I don't know if NRS windshields were supplied from Ford, I do have a few photos of Model K with windshields owned by Ford Motor Company (in other words, equipped at Detroit). A few examples. If that photo was taken in the 1908 time period I would suspect that this was a posed photo. I would find it unusual for a woman to be driving a car then (yes, I know it happened), woman rarely drove then.